Marjory (Madgie) MacQueen was born in 1923 on her parents’ farm of Achnahannet, three miles up in the hills above Dulnain Bridge in Strathspey. The eldest of three girls, Madgie helped her father on the farm from an early age, taking over after his death. Madgie was a prominent member of the farming community, a breeder of Highland ponies and one-time president of the local agricultural show at Grantown-on-Spey. She never married. 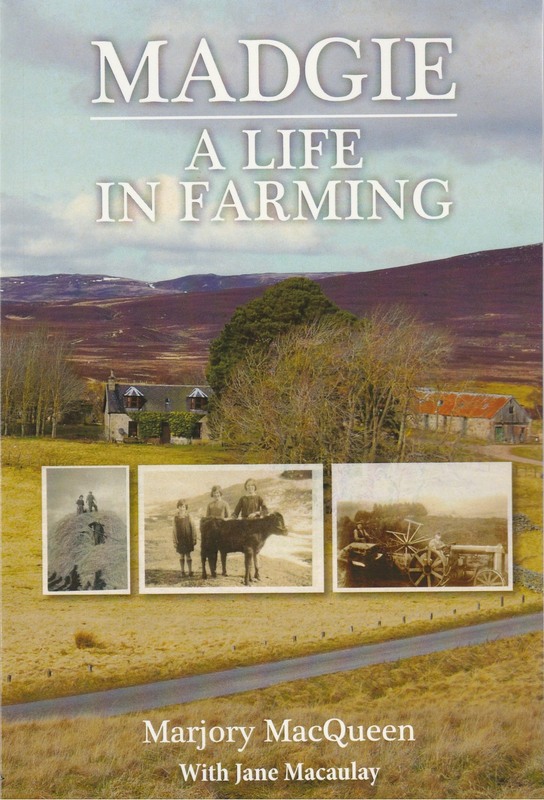 Madgies formidable memory and descriptions of life on a Highland farm in the 1930s and 1940s highlight the unrelenting toil that was the norm in an age that was just beginning to embrace mechanization. What comes across is her great sense of fun and the enjoyment she took from working at the harvest, the threshing mill and other jobs around the farm, as well as the convivial evenings spent with farming neighbours. Madgie died in 2016 aged ninety-two having dictated her memoirs to the author. Sadly Madgie never got to see the final script – she died just as it was completed. She leaves behind a valuable account of a long-gone way of life that sustained many upland communities in Scotland and beyond. 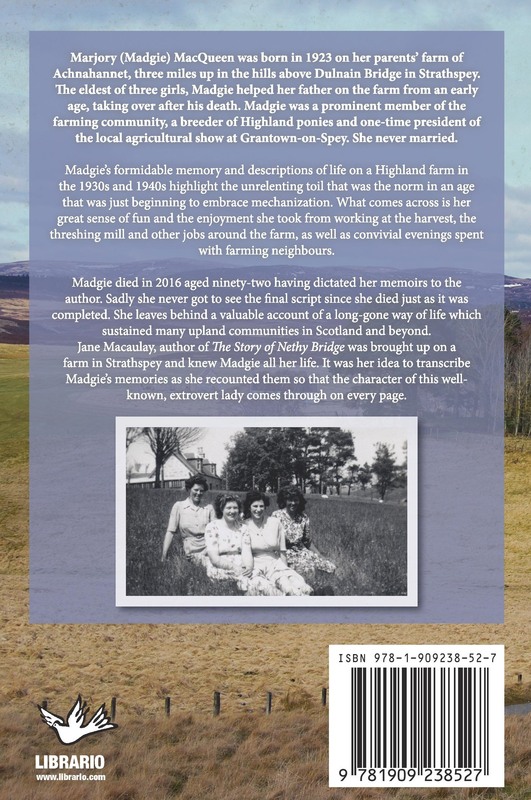 Jane Macaulay, author of The Story of Nethy Bridge, was brought up on a farm in Strathspey and knew Madgie all her life. It was her idea to transcribe Madgie’s memories as she recounted them, so that the character of this well-known, extrovert lady comes through on every page.